I try really hard not to be a product junkie, I really do. Let me quit lying. I kinda try...sometimes. But at this point, I need to seriously purge some products, and pump my brakes. I am OUT OF ROOM to store products. I can try and blame some things on large bottles and jars, but I know the real truth -- I just have too much ish. And I know some of you are waiting on that product stash video (I am going to film it next week) and some more empties (my new empties bag is full, stay tuned for that video too!). I'll be sure to let you know when those go live, so you can judge me in all of my product junkie-ness. If you know me, you know my love for tgin. And if you know my love for tgin, then you know how through the roof excited I got when I heard about them coming to Target stores nationwide this month. I've been loving tgin since my transitioning days, and you guys know for a product junkie, to stand by a brand's side for that long is nothing short of a miracle. My 3 must-haves from tgin are the Moisture Rich Sulfate-Free Shampoo, Triple Moisture Replenishing Conditioner, and Twist & Define Cream. The Honey Miracle Hair Mask is good, but Triple Moisture is bae. So it was only natural that my inaugural purchase to support their launch be the Triple Moisture Replenishing Conditioner. I know someone asked (Shontae S, was it you?) about the difference between the new formula they released with added cupuacu butter and argan oil, and the old formula, and to be honest, it just dawned on me that the formulations are different. I used the new formula for my leave-in, and it was just as moisturizing and detangling as ever. I still have a corner of the old formula left, so I'll be doing an updated comparison review for those that are interested. But let's just suffice it to say that the new formula on Target shelves is just as awesome. Confession time: I cruise hashtags for fun. Sometimes, I cruise brand hashtags just to see what folks are saying. I was rolling through the Camille Rose Naturals hashtag, and an Instagrammer shared a photo of the Coconut Water Leave-In, and said that it was the best leave-in conditioner ever. You can bet your bottom bantu knot that during the very same trip to Target, I came across the leave-in and it came home with me. I haven't used it yet, but so far I love the sweet coconut fragrance, and it feels pretty thick and moisturizing. Besides, the cool aquamarine/teal labeling is so cute to me. I'll keep you guys updated with a review soon! When I first caught wind of Eden BodyWorks releasing a kid's line, I got excited for some reason. I don't have kids, and don't plan to for some time. I just like to see brands grow and become more successful. Something between the words coco, berry, and detangler got me curious, and I knew that if I was going to try anything from the kid's line, it would be the spray. Can I tell you that it smells exactly how I thought it would? Sweet and subtle berry-liciousness that almost makes me want to taste it. I just bought it yesterday, so I've only used it once to hydrate my ends before bedtime. I'm not sure about the detangling or hydrating prowess of the product just yet, I only know that it smells amazing. I'll keep you guys updated in a review -- I might even borrow my three nephews heads to test it out on (thanks in advance April) too. Just know that at worst, I have a cute hair perfume for spring/summer. Nothing new to report here, folks. I still love Eva NYC Therapy Session Hair Mask. Everything I said in my initial review still stands. It's pretty much a no-fail, HG staple that I always have on hand. I tend to pick it up when Ulta has it on sale -- either for $11, or buy one get one half-off (with my $3.50 off $10 coupon of course). I'll be honest here -- on a recent trip to Sally's, I was killing a few spare moments I had, just perusing the aisles checking for anything new and different. I know this Elasta QP leave-in is a little off the beaten path for me, and most certainly nothing new, but I was drawn in by 3 things: It was $7.99 for 32oz, the top ingredients looked amazing (actually), and I had a coupon. I just couldn't say no. At worst, I'd be handing off a vat of leave-in to a friend or family member. At best, I'll have a lifetime supply of leave-in to work with. Review coming soon, of course. Well, that's all of my product junkie-ing for the month of March. I shant spend another penny on product....until April or May. Truthfully, I could probably get away not buying anything until August 2018 lol. 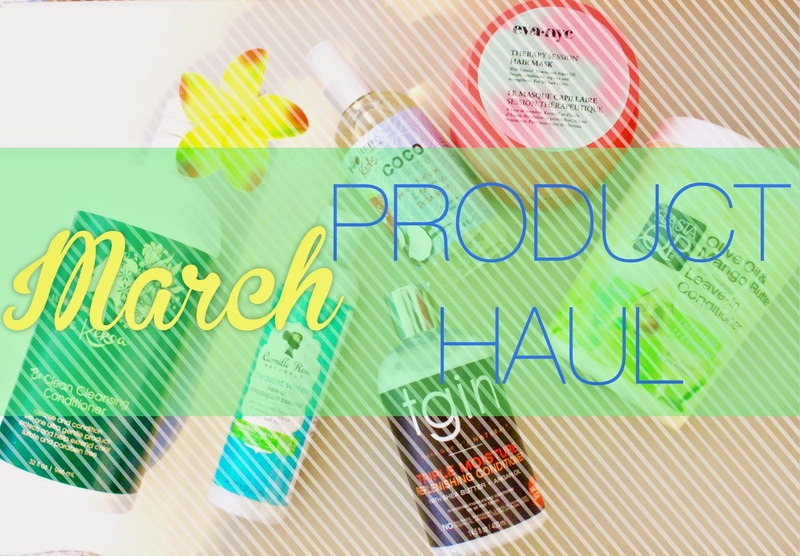 What products have piqued your interest//have you picked up this month? #productjunkiesunite! LOL! I like that rationale. I'm definitely gonna have to borrow that one. I have been eyeballing Earth's Nectar -- they're at Sephora, right? Which of their products do you like the most? They have a honey something curl definer that has piqued my interest! Yup, Earth's Nectar is only at select Sephora stores (per their website) but it's also offered on-line. Thank God! I should have known you were hip to this product. I just found out about it. 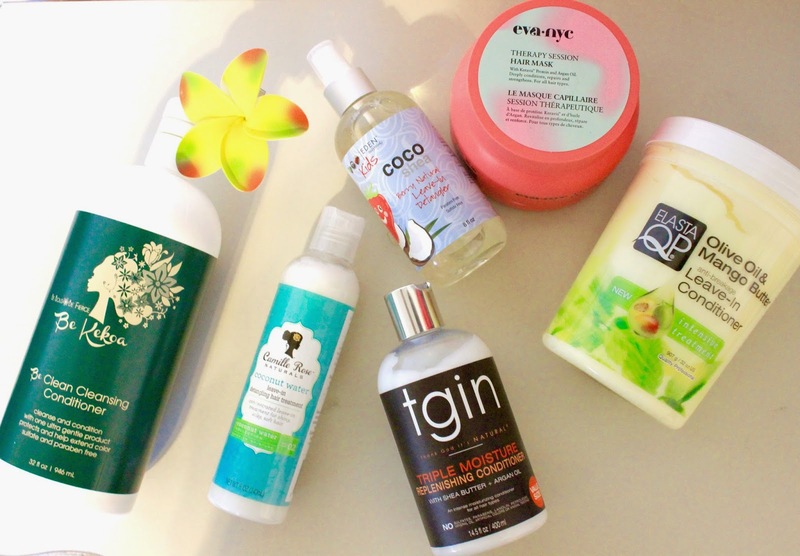 On my "Must Try" list is the honey curls gel, Nourish leave-in detangler, and the Monoi hair milk. Something about that packaging just makes it look so luxurious. ;-) I saw the co-creator (Tamika Fletcher) use the gel on 3C and 4B hair texture so I'm eager to see if I can make it work. Liquid gels normally don't agree with me, but I think prepping hair the way you did on your sister's video (3C-4A wash~n~go) will yield better results for me. I hope she sends you some complimentary products. :-) Like real soon! . Man I was so excited to see this email in my Inbox. More enabling and I am ok with that. I am eyeing the Lee Stafford Hair treatments and the Eva NYC masque you mentioned. Decisions decisions.